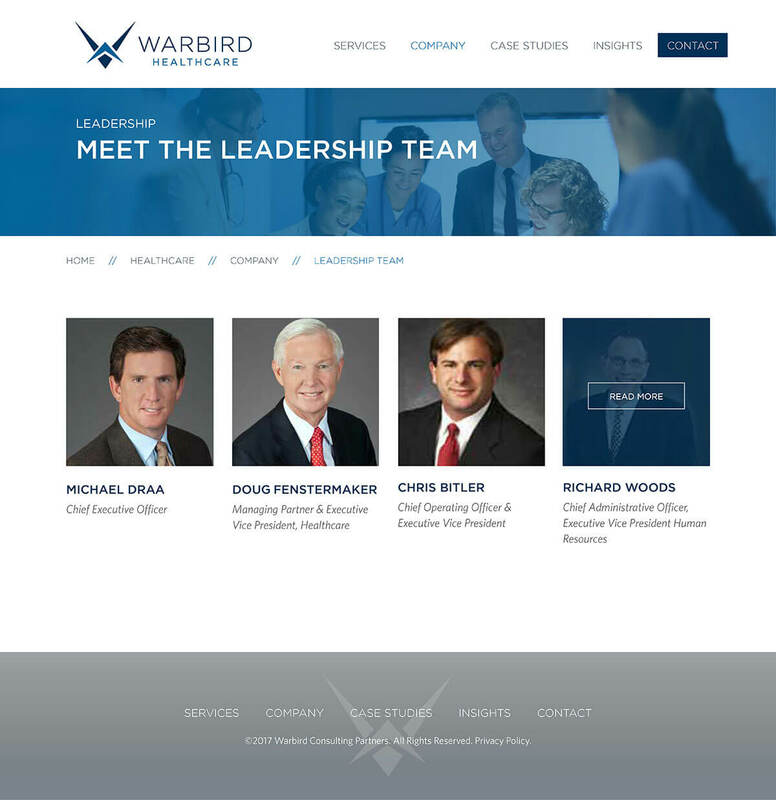 Warbird Consulting Partners is a company comprised of 3 business areas: tech advisory, healthcare, and government. 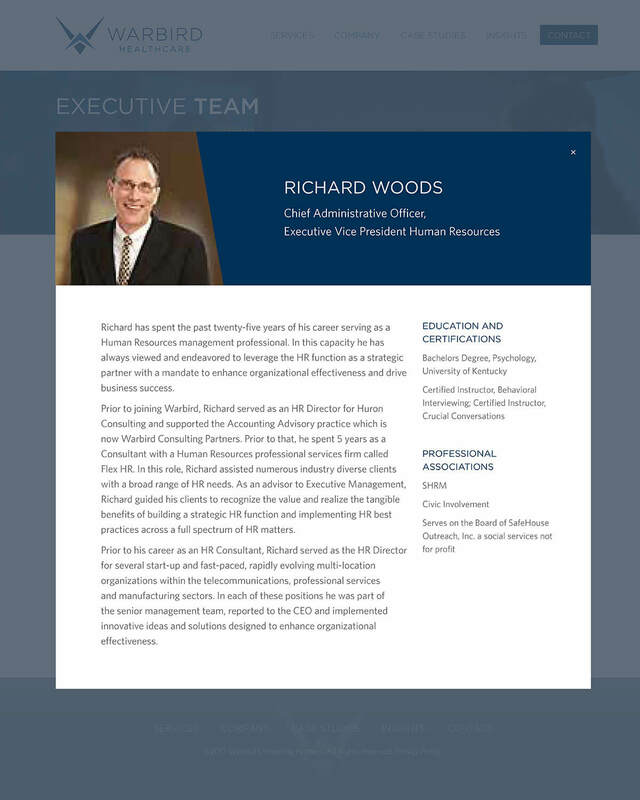 Bop Design created a new B2B website that immediately channels visitors to the appropriate business area on the homepage. 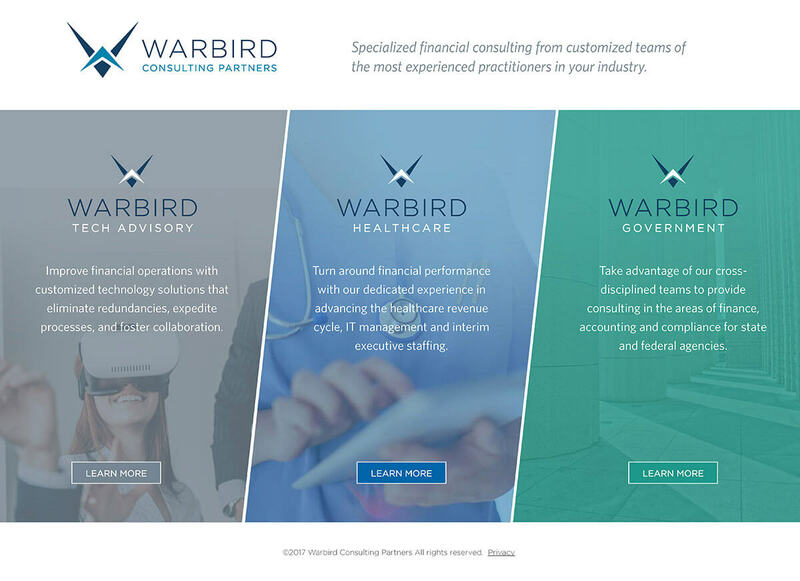 The end result is a cohesive B2B brand platform that highlights the firm’s expertise in developing financial, operational, and technological solutions for their clients.